About - Plastic Injection Molding Inc.
At Plastic Injection Molding, Inc. we believe that quality is the result of care, and is defined entirely by you and your entire customer experience. For more than 15 years Plastic Injection Molding, Inc. (PIM) has worked closely with customers, both large and small, to ensure the delivery of superior parts at competitive pricing, in a desirable time-frame. PIM is built on the philosophy that creative innovation, advanced technologies, and sound manufacturing strategies lead to an increase in all aspects of quality. Our highly experienced team is dedicated to building successful customer relationships while ensuring an unprecedented level of satisfaction. 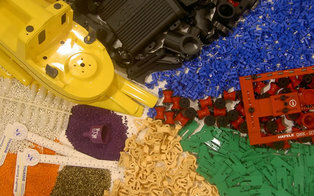 "Ken has made our decision to re-shore our plastic injection work back from China the correct one. The folks at PIM have bent over backwards to accommodate our production and have responded immediately to any issues with tooling and or design. It is good to have business partners that understand and appreciate your business." Plastic Injection Molding, Inc. owes its existence to those three little words, spoken over the telephone on a sunny summer afternoon in a conversation between Ken Williams and his creative manufacturing/metallurgist grandfather John Rector, founder of Western Sintering. Ken, along with his wife Sharon, had been interested in entering the manufacturing industry for quite some time. That fateful call sealed the deal and started a chain of events culminating in the creation of Plastic Injection Molding, Inc. Some 15 years later, Plastic Injection Molding, Inc. is still poised and ready to provide for its customers superior injection molded plastic parts. Ken and Sharon work hard to establish a close relationship with customers, providing an unprecedented level of service and care. This has been a family business since its inception; the resulting attention to detail shines through and through. Located near the free-flowing banks of the Columbia River in Richland, Washington, PIM designs and manufactures competitively priced, superior quality injection molded parts for companies around the country.